PST Sport specialise in the installation of artificial grass pitches for schools, colleges and universities across all levels and incorporating all field sports. Each installation is custom tailored to your individual requirements. 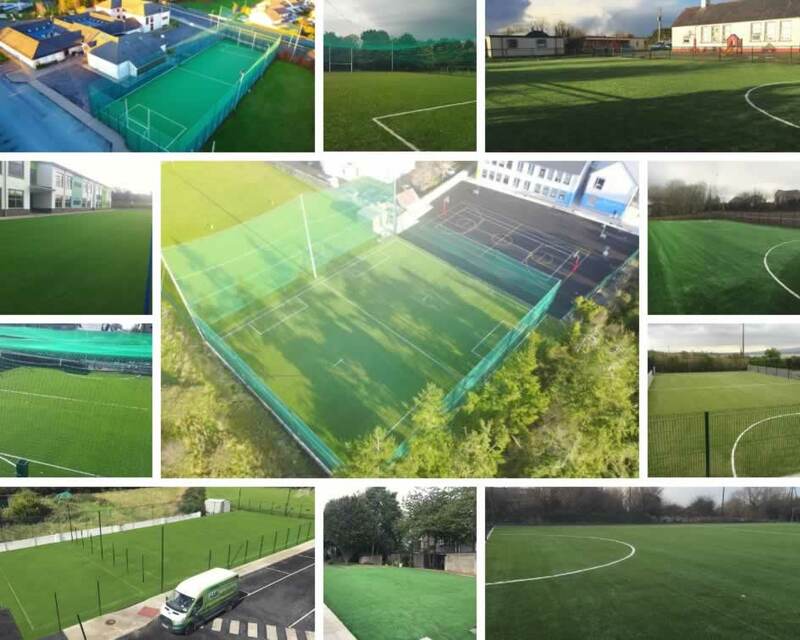 Whether it’s a multi-use artificial grass pitch to accommodate a number of sports or a single use pitch for GAA, rugby, soccer or hockey, our experienced team will look after the entire project. We cover all aspects from planning to design to installation, right through to easy-to-follow maintenance programs. PST Sport also provide fencing and netting options. Schools are frequently looking for the most suitable surface for sports; somewhere safe and durable that can be used all year round, whatever the weather. Students at all levels of education now deserve and expect the best possible playing surfaces on a year-round basis and PST Sport are proud to bring our highly advanced artificial grass technology and installation techniques to your project. We offer the best in synthetic turf technology and cover all aspects from planning to design to installation, right through to easy-to-follow maintenance programs. 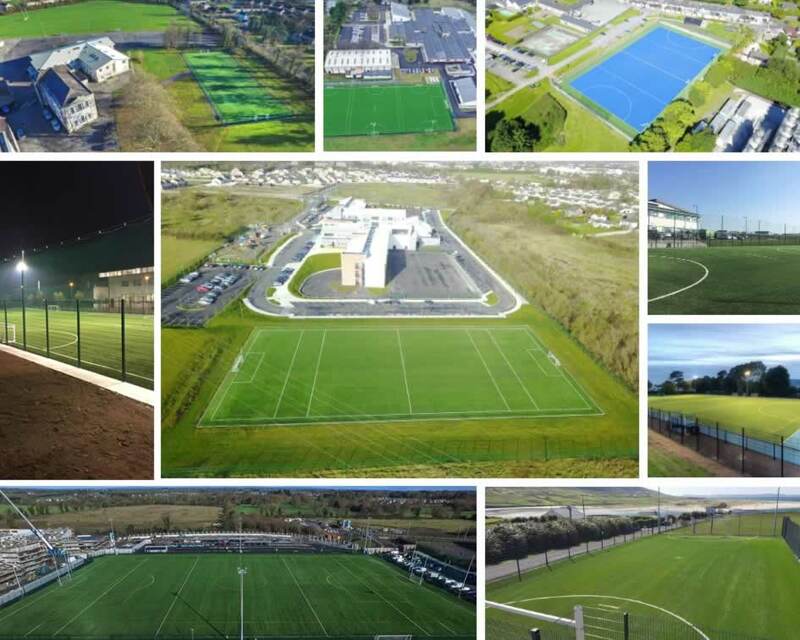 We understand that with the climate here in Ireland schools are finding it increasingly difficult to look after natural grass sports fields and play areas. A PST Sport artificial grass pitch will prove a game changer for your school and transform an under utilised muddy pitch or neglected tarmacadam court. Artificial turf is a great way of optimising the space you have in your school. Whether it’s a multi-use astro turf surface or if it’s for a single use pitch, our experienced team will look after every aspect of the project. Many schools do not actually require a full-size pitch. For many of our school projects we install synthetic grass over smaller areas e.g. 60m x 40m (MUGAs) to accommodate a number of different sports. We can install synthetic grass over any size area, depending on the outside space you have available. Alternatively, we can transform concrete playgrounds or basketball courts to provide a clean, safe, all-weather play area to accommodate a number of different sports. What area of land you have available to install an all weather pitch. Your school or university will reap the benefits with lower maintenance costs and extended usage along with the opportunities to generate additional revenue due to having an all-weather facility. A synthetic grass pitch provides an all-weather, non-slip and safe area for a variety of sports for kids to play all year round. The durability of our Terra Turf artificial grass pitches is second to none making it a solid investment for your school. WATCH: Check out our short video below showcasing some recently completed artificial grass pitch projects for schools. If your school is considering installing an artificial grass pitch, get in touch to see how we can help. We will work with you to provide the best solution for the space available. We can deliver a complete package from design and planning, pitch construction, groundworks, sports fencing and netting. CONTACT US.